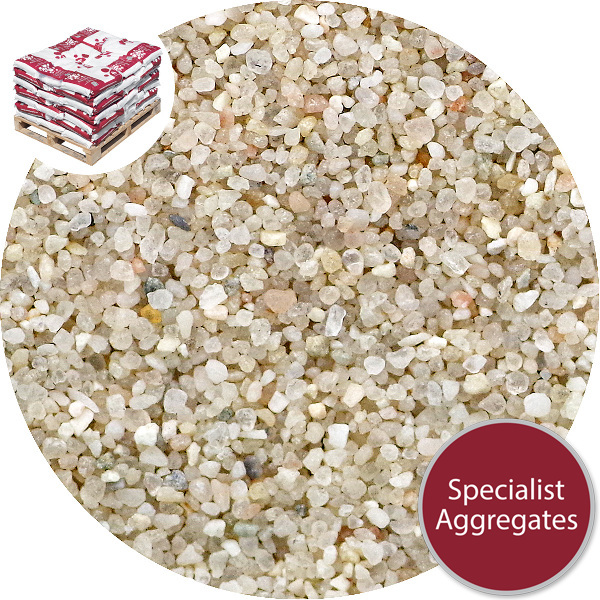 Medium particle size kiln dried silica sand specifically graded for use as a pond and aquarium filter media. Loose laid the sand provides a textured dust free surface for event staging and studio photography. 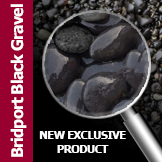 An excellent clean sand for supporting candles and for general craft work. 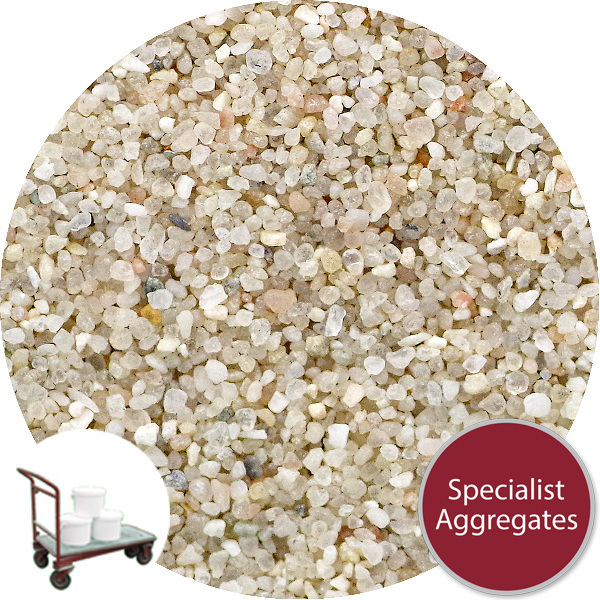 Description and Use: Exceptional quality coarse kiln dried and graded quartz sand for use as a filter media. Loose laid the sand provides a textured dust free surface for exhibition, event staging and studio photography. 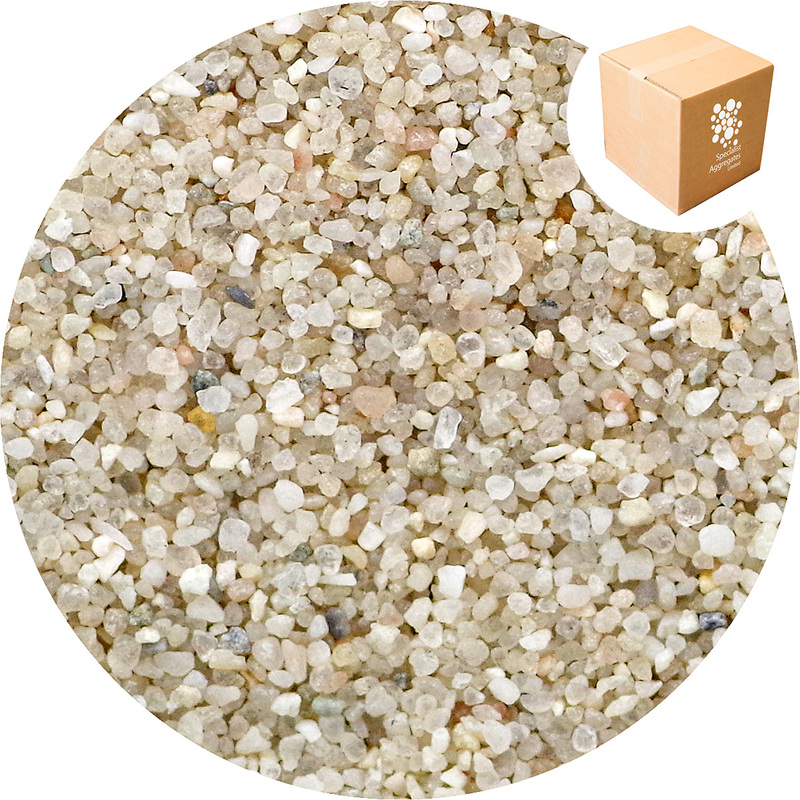 An excellent clean sand for supporting candles in storm lanterns and for general craft work. 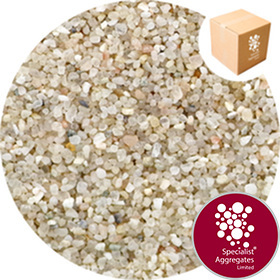 With an exceptionally high silica content and low calcium carbonate the sand is an ideal coarse sand for substrates in both cold water and tropical marine aquariums.